Soo Min Toh's main research interests deal with the interactions of sojourners with their host country co-workers and supervisors. She is interested in how these relationships affect the psychological, socio-cultural, and economic adaptation of the sojourners. She is also interested in the role of social undermining on the outcomes of immigrants. Currently, Soo Min is engaged in a research project funded by the Social Sciences and Humanities Council examining how the experiences of new immigrants in Canada affect their long-term career success. 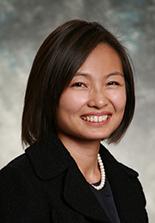 Soo Min’s research has been published in premier journals such as the Academy of Management Review, the Journal of Applied Psychology, and Psychological Science, as well as numerous international conferences. She currently serves on the Editorial Board of the Journal of World Business. She has taught courses in international management, as well as courses and workshops in organizational behaviour and human resource management since her appointment to UTM in 2003. Prior to joining UTM, Soo Min obtained her Ph.D. in Management at the Texas A&M University, and her Bachelors of Business Studies in the Nanyang Technological University in Singapore.